You are here: Home / 101 Musing / Happy Thankgiving! 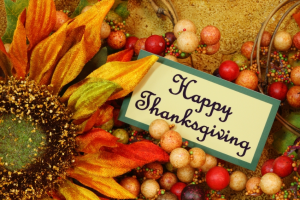 We are thankful for your readership and your business, not only on today but always! Have a safe, healthy and happy Thanksgiving holiday! !